Mobile apps are the latest trend and an effective way to generate a lot of business. 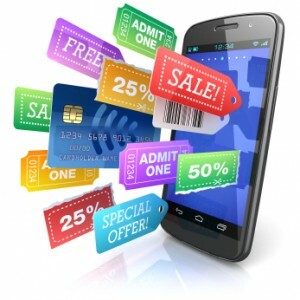 Whether it is shopping or booking tickets or listening to music there are apps for everything. Thus, they have become as essential as other forms of advertising for your business. There are various other reasons why your business needs a mobile app. When you are aware about more benefits, ordering a mobile application for your business should be your first step. Extensive reach: A mobile app is able to reach out to customers any time, any place, giving the right information about your offerings instantly. Once you know you have been able to reach out to the customers, you can make, or convince them to buy your services or products, thus getting revenue. Being satisfied with your services or products, these customers can pass on the information to more prospective customers. Easy to Access: Providing appropriate service to your customers, you can make your service to them more reachable by giving them tools and contact numbers to keep in touch with you for future services. Providing facilities where the customers are able to shop via the phone itself, adds value to the service, and makes it comfortable and convenient for the customers. This increases the business significantly. Coupon assistance: Offering coupons on your outlets, and giving them this information on their mobile, will convince the customers to visit your outlet when passing by. This helps in building customer relationships. Convenient apps: Similar to online shopping, a mobile app lets your customers avail your services from their mobile instead of their desktops or laptops. This is more convenient, as they cannot carry their desktops around like the mobile. Cost effective apps: A mobile app need not be a fancy one with loads of features, a basic one only catering to the requirement of your business does the trick and is able to reap you a good amount of profits. After the development is done with, you can cash on it by thinking of other innovative methods of using it. App in partnership: Getting into partnership with other businesses for the mobile application development can also benefit you. The customers using the mobile app will be informed about your products and services also. Forming a mobile app in partnership is a beneficial way of going about it, when you are interested in cost cutting. Other benefits: Apart from the discussed features and benefits of mobile apps, other vital benefits are building customer loyalty, branding, enhanced exposure, repeat business and more. It is also a perfect way to provide relevant info to a large number of customers. This can be about new products and offerings, festive discounts, etc. Customers find mobile apps convenient since they are time saving, convenient, and fun. With the mobile app craze on the rise, going for a mobile app is sure to lead you to success. All you need to do is hire a mobile application development company and discuss the details with them. Author adminoesPosted on July 23, 2014 July 23, 2014 Categories Blog, Web DevelopmentTags android phone, iphone app, mobile applications, Smartphone AppLeave a comment on Why Your Business Needs a Mobile App?